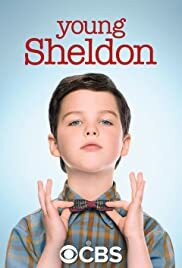 It's 1989 and 9-year-old Sheldon Cooper has skipped four grades to start high school along with his less-intellectual older brother. As he struggles to be understood by his family, classmates and neighbours, his mother arms him with the best tool she can come up with: reminding bullies his dad is the football coach and his brother is on the team. His twin sister doesn't share his exceptional mind, but she has a much clearer vision of what life has in store for the young genius. Jim Parsons, who plays the adult version of Sheldon on "The Big Bang Theory," narrates.